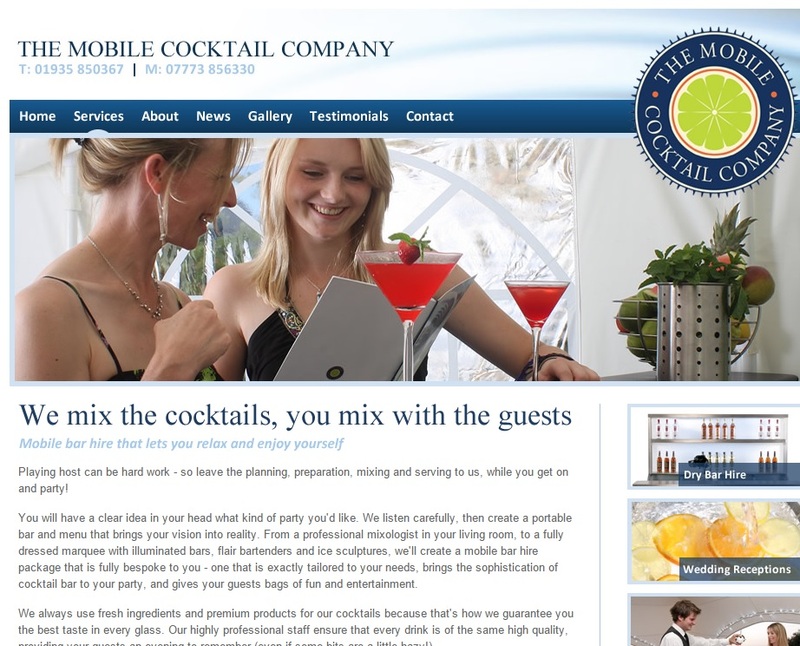 Most websites have “content” – inert words that fill a space, do nothing in terms of expressing what makes a business different, and leave the reader totally unmoved. I think this is a crime, punishable by death. 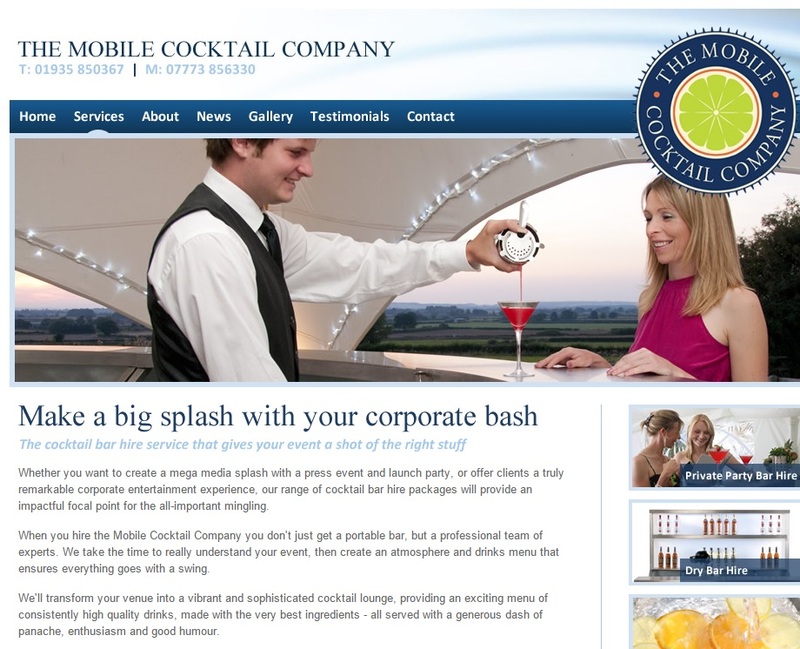 Unfortunately it is not the writer or web company that dies, but the client’s business. I always attempt to avoid visiting this fate on my clients. 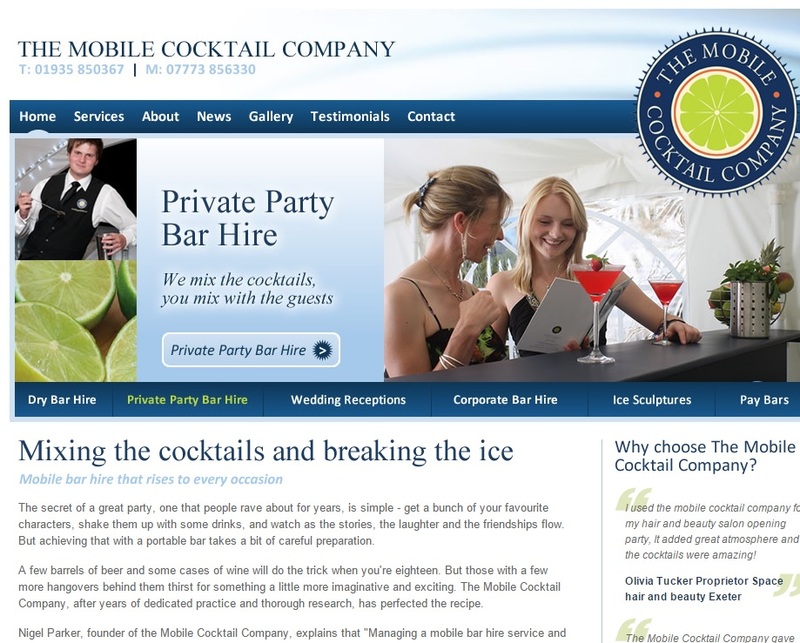 I was approached by a chap called Nigel to help write the website for his company, the www.themobilecocktailcompany.co.uk. We met in a pub (it seemed appropriate). Unfortunately I had flu. Despite feeling awful it was obvious that he was a very outgoing and bouncy character who had almost certainly enjoyed a misspent youth and was now hugely enthusiastic about making cocktails and organising great parties for people. 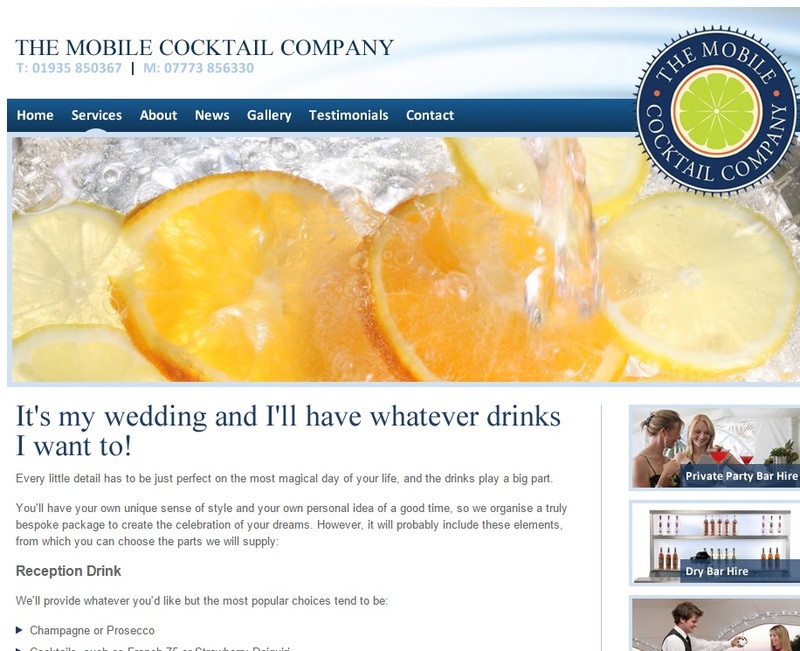 Like many of those running a small business, he had written his own website. He was, however, smart enough to realise it failed to bring his offering to life. 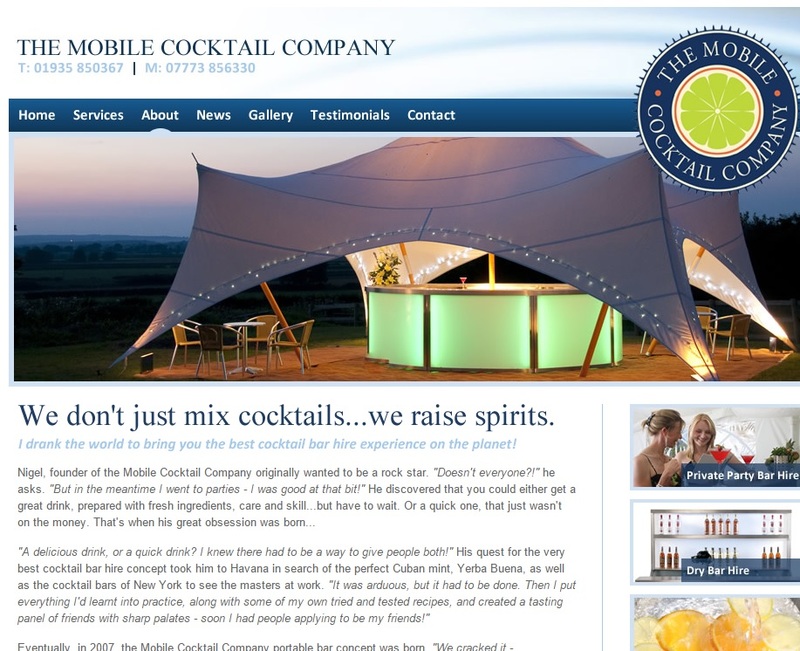 The home page started with “Based between Bristol and Bournemouth, The Mobile Cocktail Company offers a flexible, portable bar hire service, guaranteed to add impact to your event” and continued in the same vein. It was accurate, but flat as an abandoned beer you discover the morning after. The problem? The words were telling, not selling. For a start they expressed none of Nigel’s infectious enthusiasm. And they just provided features, facts about the product. To be engaging, exciting and compelling, they needed to focus on the benefits, and do so in a way that was enticing – the pleasure of the experience. Instead of using logic (which only leads to conclusions) the words should tap into the emotions (which lead people to take action – if you want to move people, arouse their feelings). People aren’t buying a bar, or a bartender, or cocktails – they’re buying a good time. So the words have to be fun and talk the language of someone who wants to throw a bloody good party.